I'm working on building full theme's including custom splash screens, Manila icons and back grounds. These will also include custom fonts, startup sounds, and action screen, and a S2U2 theme. I have to thank Chainfire over at XDA cause this was not possible with out him. 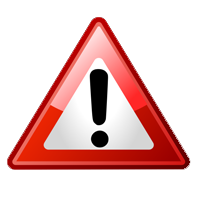 I have pulled bits and pieces of various graphics from all over so its going to be very hard to thank everyone. KK thanks for the action screen I based mine of of yours. Sarcy for giving me the idea of doing the custom fonts. Grumps cause some you your manila graphics rock. If I'm forgetting anyone and I'm sure I am thank you. 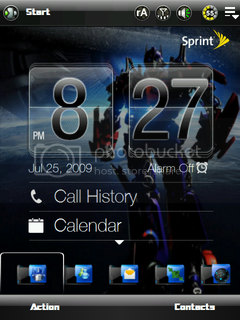 This theme was tested on Energy ROM. 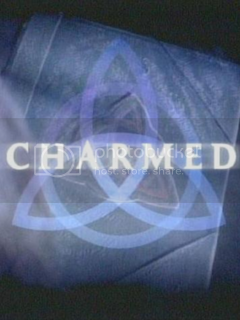 The first one is a theme built around the show Charmed. I would highly recommend backing up you stock Manila files prior to install this theme as there are some many variations of Manila out there am unable to cab up all the various flavors to back out of this theme. 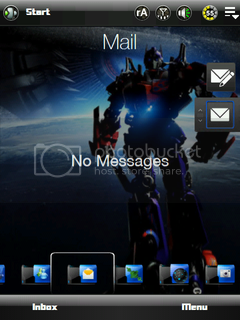 I take no responsibility for any damage that this Theme or any of its components does to your phone or rom. To install first set manila wallpaper to default and as always close Manila. All cabs have to be installed on your device. Install the Manila Theme this will prompt you for a soft reset. First under the appearance tab chose a theme other than charmed, close out of the today setting screen. Now go back in and select the today setting again. 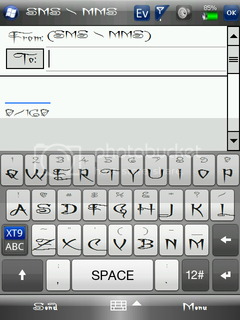 Select the charmed theme, select the Items tab and select Touch Flo 3d. Now you can install the other parts of the theme if you choose. There are no special instructions for installation of the other cabs. They install and setup like any other cab. A Charming Font.cab (197.0 KB, 129 views) Click for barcode! Endor Font.cab (183.6 KB, 94 views) Click for barcode! Charmed S2U2 Theme.cab (1.60 MB, 102 views) Click for barcode! 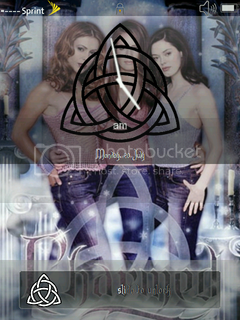 Charmed Action Screen.cab (485.6 KB, 91 views) Click for barcode! Charmed Manila Theme.cab (4.99 MB, 169 views) Click for barcode! Last edited by tristem; 07-22-2009 at 04:58 AM. To Revert back to the stock font you can use this cab. Plain old Black background Action Screen. Default System Font.cab (484.9 KB, 53 views) Click for barcode! 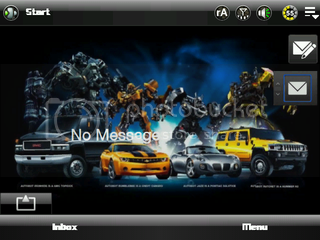 Black Action Screen.cab (333.1 KB, 36 views) Click for barcode! Last edited by tristem; 09-08-2009 at 12:31 AM. 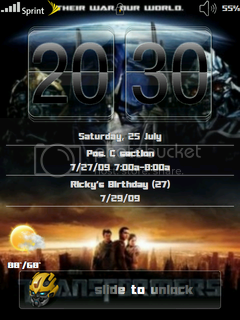 Check out my custom Themes. WinMO 6.5 Rodium Manila. http://forum.ppcgeeks.com/wm6-5-x-ppc-themes/75368-touch-pro-windows-6-5-themes-rodium-manila.html I do take requests just be patient with me as they do take time. Last edited by tristem; 07-29-2009 at 08:39 PM. 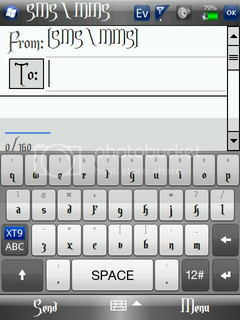 Last edited by t0mmyr; 07-20-2009 at 06:10 AM. Will be working on more themes, but if anyone has any ideas or request I'll see what I can whip up for you. Last edited by tristem; 07-22-2009 at 04:25 AM. Hey Bro nice Themes. 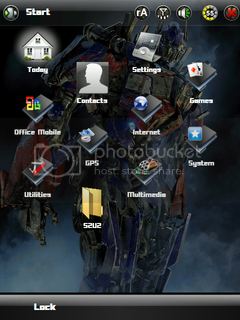 I wonder can you make a Transformer Autobots theme like this? I am not to fond of charm but am a fan of the women..
Will be working on more themes, but if anyone has any ideas or request I'mm see what I can whip up for you. Ok all the Transformer Files are up. 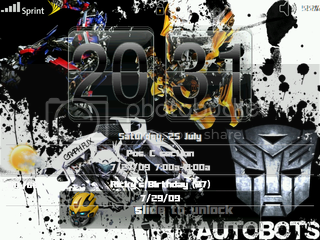 Autobots Manila Theme.cab (4.49 MB, 163 views) Click for barcode! Autobots Action Screen.cab (611.0 KB, 148 views) Click for barcode! 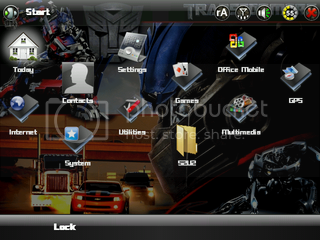 Autobots S2U2 Theme.cab (2.00 MB, 117 views) Click for barcode! 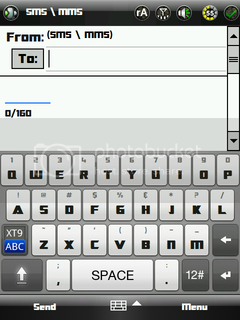 Transformers Font.cab (37.6 KB, 95 views) Click for barcode! Last edited by tristem; 08-05-2009 at 12:05 PM.